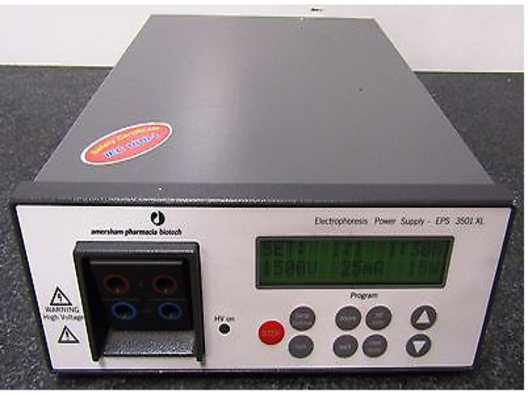 The GE Healthcare Electrophoresis Power Supply EPS 3501 XL is a high quality, high precision and safe power supply for electrophoresis applications that require advanced programming and high voltage. EPS 3501 XL is primarily designed for techniques using programming in several phases and/or voltage gradients. Thank you for your interest in the GE Healthcare EPS 3501 XL Electrophoresis Power Supply (ID #: 16382). To speak with a representative, please fill out the contact form below or call us directly.